While at the Renaissance Fair, Patrick played in the grass while eating a snack. 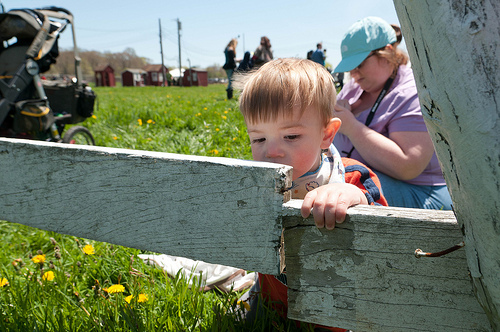 He discovered this fence and the way the board would flex when he pushed at it — very interesting! I can understand Patrick’s interest in the fence: it did have some character. I would’ve liked to try to get more photos of him at it, though he wasn’t too interested in cooperating.